Installing heating zone controls in your central heating system can save you up to 20% on your heating bills. Heating zone controls are electronically controlled motorised valves that allow different parts of your heating system to be switched on or off. 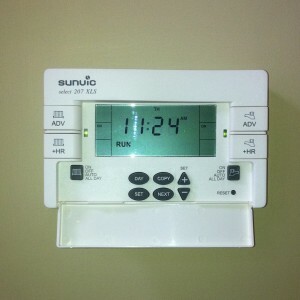 This allows you to set individual room temperatures at different times of the day e.g. bedrooms are heated only at night, guest rooms are not heated at all when unoccupied, living rooms are cooler during the day and have a cosy temperature in the evening. Installing heating zone controls also allows you to have your hot water on without having to turn all the radiators off. These improvements are not always possible and depend how you initial installation was done. This is a simple smart way to save you money by splitting your heating controls electrically in to two or more zones whereby you have full control over what you want to heat . This is very useful in the summer time when you may only want to heat the water in your cylinder. This system means that at the touch of a button you have total control over your heating system . It saves you money as when all zones are satisfied /hot the boiler automatically shuts down meaning that the system is operating to its maximum efficiency. According to SEAI (Sustainable Energy Authority of Ireland), by installing heating controls in their home and using these controls in an efficient manner, homeowners can reduce their energy usage by up to 20% . There is now grant aid available through the SEAI Better Energy Homes scheme to help you finance the installation of heating zone controls. Visit SEAI website for more information about the grant and to read a case study on the savings achieved with heating zone controls. 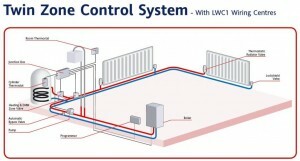 Watertech offers Heating Zone Controls installation and upgrades. Contact us for more information and a Free quotation.